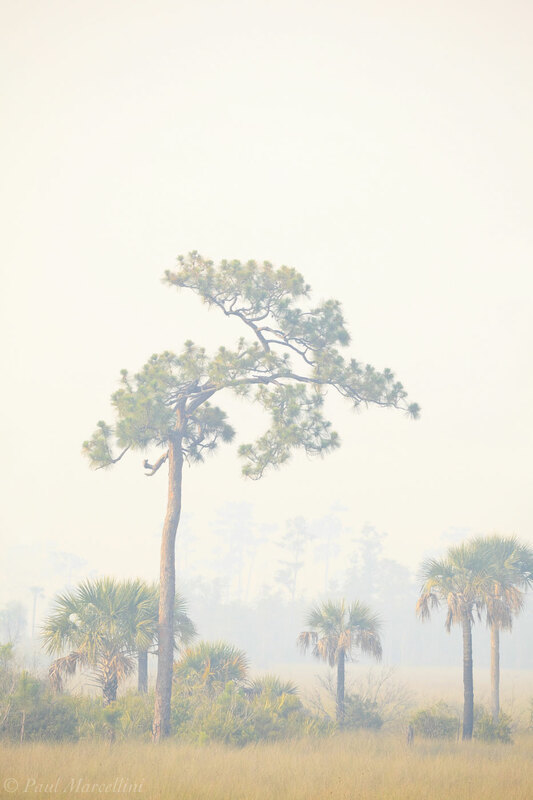 Fires are a necessary force for the health of Big Cypress and the Everglades. Here, the smoke acted like fog in the morning and helped isolate this clump of trees. Photo © copyright by Paul Marcellini.